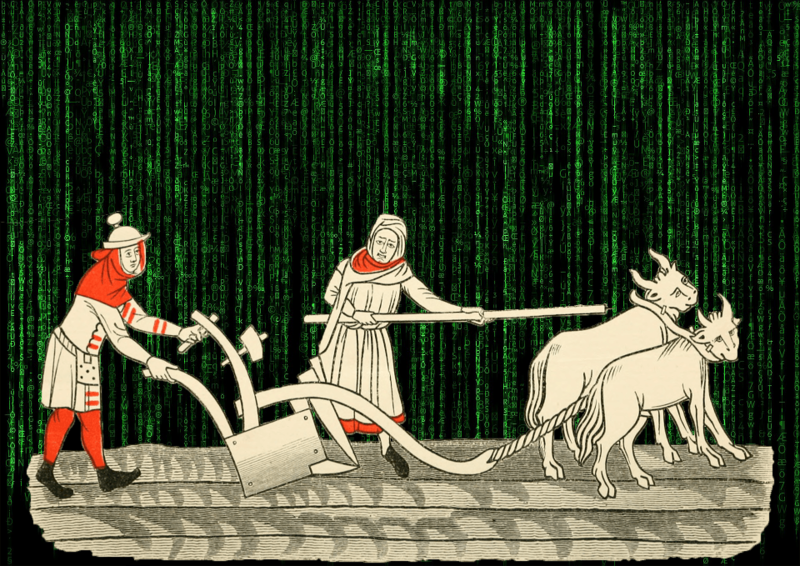 It can sometimes be hard to explain to people that my doctoral work involves both computer programming and a 14th-century Italian saint. This could even lead to a conversation ending immediately, but sometimes people can see the connection. When I first met a polyglot Belgian friend of mine and explained to him that I was working on an MSc in the computer sciences but that I studied Italian as an undergrad, he responded, "Oh, so you like languages." And really, as much as computer programming has seemed to have firmly wedged itself as a math/science discipline, for me it is about syntax and ultimately has rules similar to grammar. 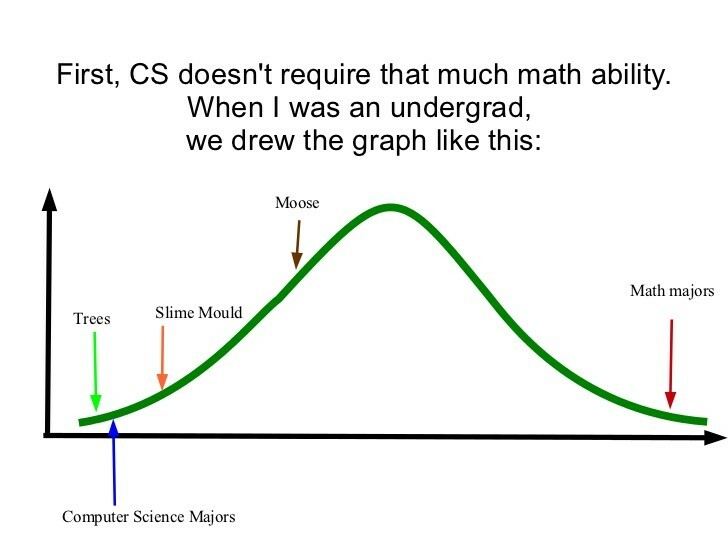 A slide from Terri Oda's brilliant presentation, "How does biology explain the low numbers of women in computer science? Hint: it doesn't." But there is something else that computer programming can do that language does as well: help people interact with each other. While this may be easy enough to state on a simple level, there are of course a lot of hierarchies and interpersonal dynamics at play, so let me apply this more specifically to my own specific subject at hand. 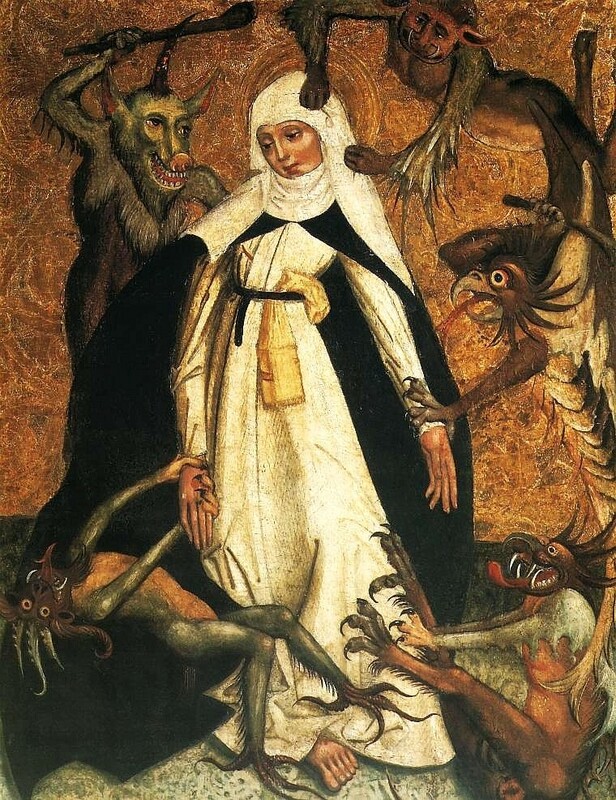 My dissertation topic is generally on the writing of Catherine of Siena, that 14th-century saint I mentioned earlier. The issue is that she is often not considered a writer at all because of the nebulous position of the Italian vernacular language and writing during her lifetime. That is, if you were an educated rich man living at the same time as Catherine, you were writing in formal Latin and not in the emerging Italian language that was evolving from Classical Latin in the streets of Tuscany. 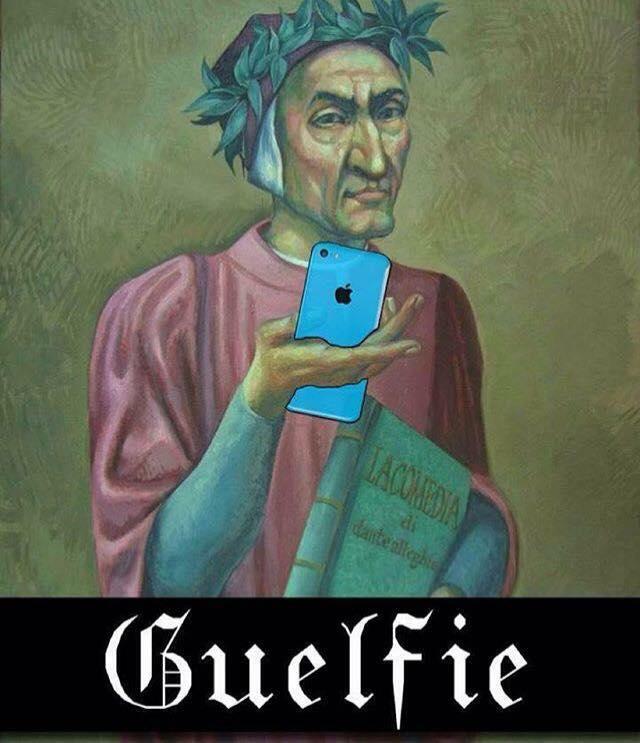 Dante (the reason why I was an Italian major to begin with) argued for the vernacular in his Latin work (touché) De vulgari eloquentia, and he and other Italian poets (who were largely professionals writing poetry in their off time) argued that they were writing in Italian so that the ladies they were addressing could understand what they wrote. The poetry, however, was exchanged among men and often dealt with not only love but with metaphysics, too (the ladies they say they are addressing would not be so educated), so this argument was a little tongue-in-cheek. Though I would not quickly claim Dante and his friends as pioneering feminists— to be fair, in their work they do interesting transpositions and refactoring of gender roles— but more importantly they create a high literature in the Italian vernacular language and thus elevate it to a point where someone like me can study Italian literature as part of a major in a university. But, what about Catherine? It is actually someone more like her, a wandering saint who was concerned with life on earth and doing good in the world as much as on divine vocation (pretty radical when many spiritual people were either hermits or in religious orders), who is credited with writing the first piece of Italian literature. 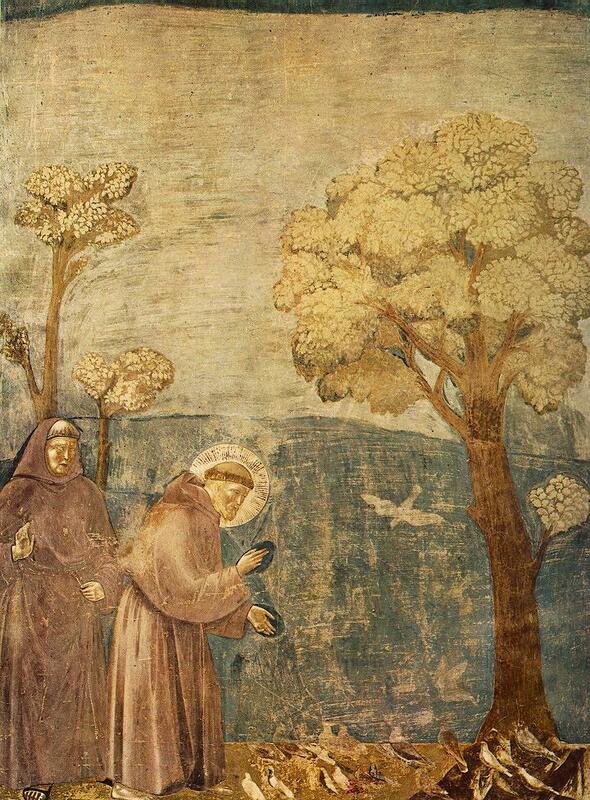 This is Francis of Assisi, who rejected a life of riches, and his "Cantico delle creature"—a prayer-song for the creatures of the world. So, though there is this intellectual love poetry that was used to "elevate" the language, the written language actually developed out of a need to provide access. Francis knew that many of his fellow Christians could not understand Latin, and that without information and a means to participate, communities could not really develop (and Francis knew communities could be a driving force of a lot of good in this world). And in true community-driven fashion, Catherine herself learned to read and write from a group of third order religious women (meaning they were in orders but not in a convent) in her hometown of Siena. Though there is some evidence that she learned to read Latin too, all of her divine conversations, and all her letters to the Pope are written in the people's language of vernacular Italian. Of course, how could she comfort prisoners, care for the ill, or offer advice to women (without her tongue in her cheek) in a language they could not understand? OK, what does this have to do with computers? With the Futures Initiative, I am working with the entire team on a network of sites to bring together geographically and disciplinarily diverse CUNY students, and with HASTAC@CUNY I am helping to connect thinkers and learners throughout the world to come together regardless of institution affiliation (or lack thereof) and professional level. At the heart of community building is access to information, whether it is through accessible web design (including responsive design, user-friendly design and low barriers to entry) or speaking and writing in a language that the people in your city can understand. To empower students (or any citizen of this world for that matter) to realize that they can contribute and collaborate and build together (because we need all the perspective we can get), we need to speak in a language that they can understand. We need to have websites that work on mobile devices because in many disenfranchised communities people do not have access to the Internet through other means (see digital divide), we need a user interface that can encourage others to add their voice, and we need to let people know that computer programming is a skill that can be learned like any other skill. We don't all need to be computer programmers, and we don't all need to be writers, but it helps to learn these skills to build communities and to interact with each other. And—to add another layer—as programming languages tend to use English words, those learning English can bolster their natural language skills through the back end of computing. Computers and the Internet, like language, are just another tool (another technology) that can connect us if we can understand how to use it. We can meet people halfway, like Francis, by trying to "speak the language" of the people, rather than an erudite and perhaps even dead language like Latin, and we can learn "the language," like Catherine, through a grassroots network. It is people, not technology, that will ultimately work to build new communities through tools that promote access and equity. And in this way we can be true to our human nature and "set the world on fire" as Catherine would say.